One of the minor annoyances of working in a Windows environment is that, though RunAs is a closer approximation of sudo than it ever was back in the days of Windows XP, it still won't give you UAC-accepted Administrator access (i.e. the Windows equivalent of "root"). 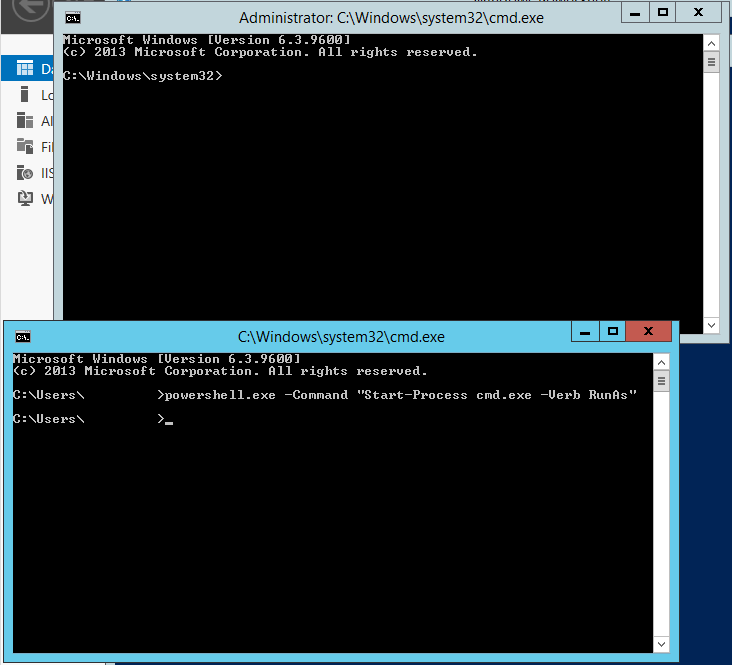 PowerShell, on the other hand, labors under no such restrictions, thanks to the Start-Process cmdlet. 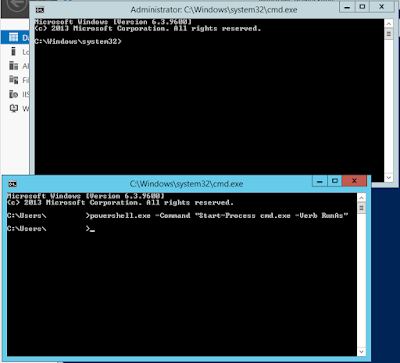 powershell.exe -Command "Start-Process cmd.exe -Verb RunAs"
You'll end up with an administrative CMD prompt.